A host of macroeconomic forces are changing the future of manufacturing, and software may be the key to success for companies willing to make the necessary transformations, experts said this week. Globalization, personalization, digitization, and connectivity, among other forces, are making it necessary for manufacturers to consider new ways of building smart, custom products in order to maintain economies of scale. 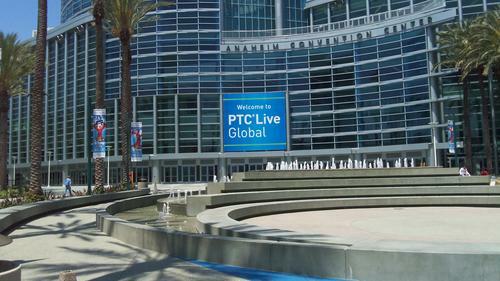 “The way you get to a market of one is you go the last mile in software,” Jim Heppelmann, president and CEO of PTC, said during a keynote speech at thePTC Live Global 2013 conference in Anaheim this week. PTC examines the future of manufacturing at this week’s PTC Live Global 2013 conference. PTC, which hit hard on the theme of manufacturing solutions at the conference, bolstered its point with a study from Oxford Economics. Titled "Manufacturing Transformation," the study contends that the world’s top manufacturing executives are already changing their strategies to meet the new needs of industry. “Sixty-eight percent of firms are about to undergo a fairly radical business transformation,” noted Lou Celi, president of Oxford Economics Americas, speaking to industry analysts at the event. Oxford’s study cited multiple trends affecting the future of manufacturing. It predicted that additive manufacturing and 3D printing, for example, would grow 123 percent in the next three years. Similarly, use of remote diagnostics will jump by 56 percent, and so-called “smart products” will grow 38 percent in the same period, the study said. For many product makers, the trend toward customized manufacturing is well underway, Celi said. He cited a tractor made by agricultural giant John Deere that was ordered in 7,800 different configurations by customers around the world in 2011-2012. “They have to design the tractor to accommodate all those customers’ needs,” he said. Software maker PTC said that computer-aided design (CAD) and product lifecycle management (PLM) software will be the keys to making manufacturing smarter and more flexible. At the keynote speech, the company showed how PLM and CAD software enabled such customers as Volvo, General Electric, and Schneider Electric to “digitize their product DNA” and adopt “design anywhere, build anywhere, service anywhere” manufacturing philosophies. « Previous: AIT OUTSOURCES NEW MEDIA TO IST NIGERIA.